Victorian Fair of the Far West at the Workman and Temple Family Homestead Museum - April 28-29th, 2019, in Los Angeles. Sarah will be curating a pop-up exhibit and doing talks throughout the weekend in El Campo Santo, one of the oldest private cemeteries in Southern California. To Dust screening and panel, February 17th, 2019, at the Lammle Royal in Los Angeles. Sarah will be on a panel discussion with the filmmakers. Teen ‘Scape Career Conversations hosted by Los Angeles County Public Library. Teens can learn more about careers in death with Sarah and Amber Carvaly, on March 23rd. 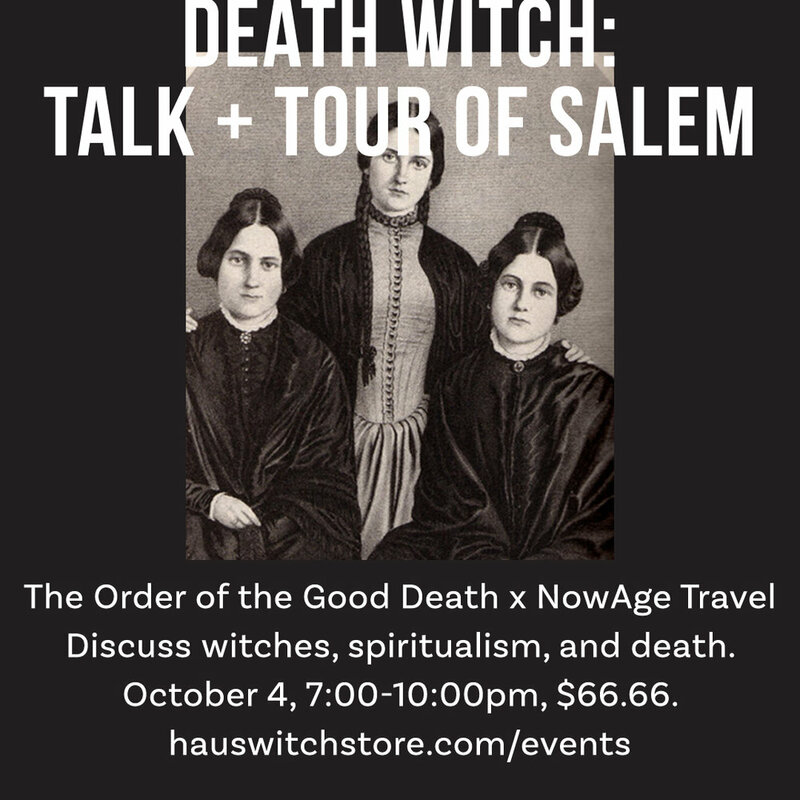 Death Witch: Talk and Tour of Salem Join Sarah and Melissa Nierman of NowAge Travel for a special event at Hauswitch as we explore the feminist and death positive history of halloween and an interactive walking experience through Salem’s history of the occult and transformation into a Halloween mecca. On October 1st, in Salem. 306 Hollywood premiere - October 2018, Lammle Royal in Los Angeles - Sarah will be on a panel discussion with the filmmakers. Details TBA. 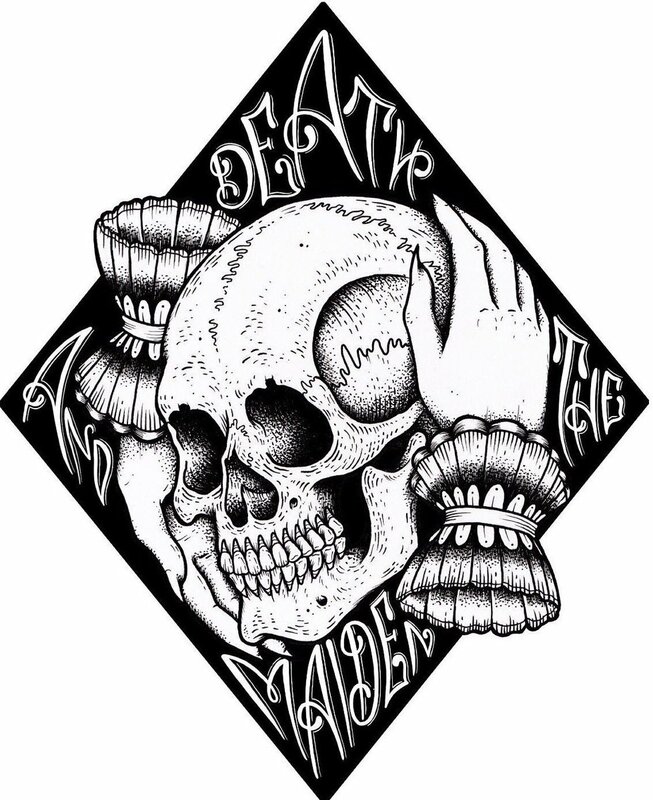 Death Salon: Seattle - September 8-10, 2017 in Seattle - Saturday: Death and the Maiden: Why Women Are Working With Death and the Future of the Death Positive Movement. 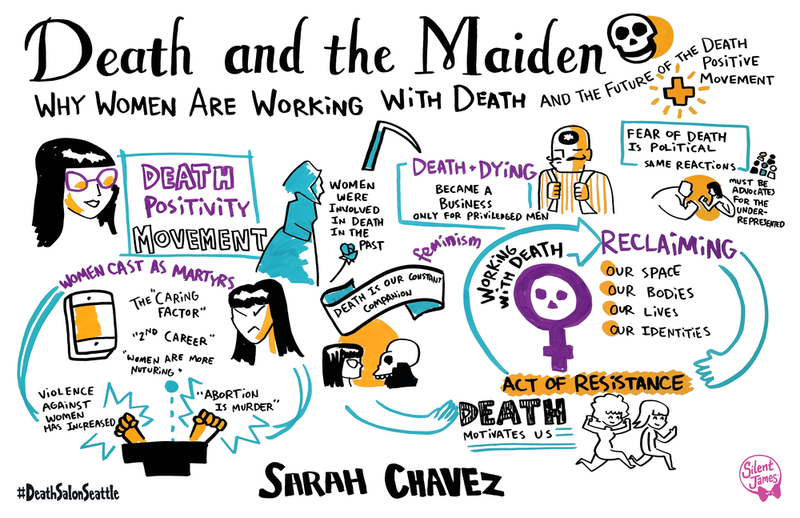 Sunday: Decolonizing Death - Sarah Chavez and Matt Ignacio in conversation. Our Dead Are Not For Sale: Dia de Muertos, Death and Mexico’s National Identity, Barts Pathology Museum, libraries and museums throughout California. Los Angelitos: The Rituals and Art of Child Death in Mexico, Mutter Museum, and University of Winchester. 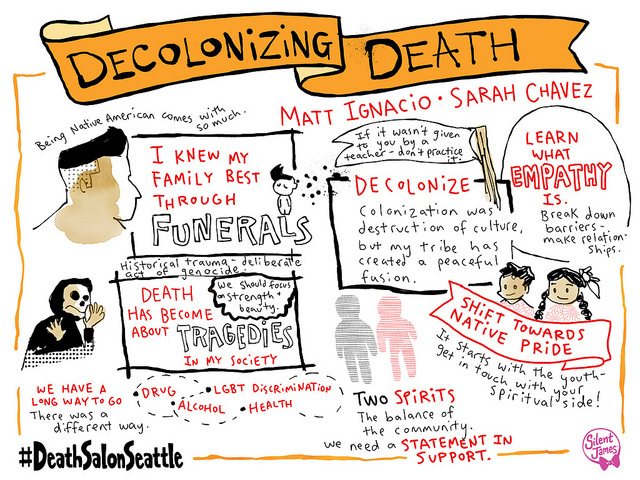 Live illustration of Sarah in conversation with Matt Ignacio on Decolonizing Death, by Silent James. Nourishing Death: How the World Honors Death With Food, Death Salon: San Francisco. Death and the Hollywood Ending: The Legacy of Forest Lawn and the Future of Death in Los Angeles, The Getty Villa. The Disneyland of Death – a Tour of Forest Lawn Cemetery, Atlas Obscura Society, private tours for various historical groups (available by request). Walpurgisnacht (Witches’ Night): Halfway to Halloween, Witches’ Night at Phantom Carriage. Talks created for Sarah's work at both Linda Vista Hospital and the Lindsay Museum. Sarah worked with Conjuror's Kitchen to create and cater a "funeral" following the screening, consisting of funeral and death ritual foods. Working in conjunction with the Getty Villa's curators and chefs to design a menu and write detailed description cards for each dish, highlighting various funerary and death ritual foods discussed during the event. Sarah contributed a recipe to this truly special book by Lucy Coleman Talbot, celebrating the cult film, Harold and Maude.